Try out these amazing home remedies to treat dry, chapped hands! Along with Christmas, endless fashion options, perfect opportunities to cuddle under blankets, winter also brings with it some frustrating skin conditions due to the harsher climate. Chapped hands being a one of those major downers. With these ‘handy’ home remedies, you will achieve perfect hands in no time, courtesy of oil, salt, milk and everything domestic! 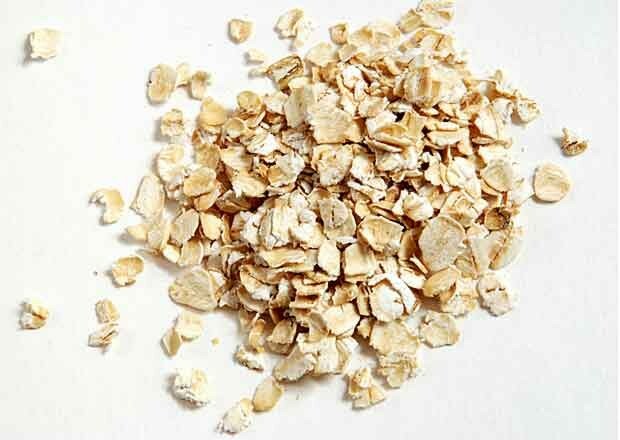 Cooked or raw oats are great for chapped hands. Add it to your bathwater, or mix it up with some jojoba oil in a basin and soak your hands in it for 10-15 minutes. Post bathing, a generous dollop of Vaseline petroleum jelly or olive, jojoba or coconut oil must be applied to the palms, fingers and hands This stuff is magic for the skin because of its unique combination of fatty acids. It helps to fill in the cracks and allows the skin to heal. If the weather is cold, just rubbing the petroleum jelly or essential oils on your hands is not enough. Cold air leads to rapid evaporation of the moisture from your hands. To prevent moisture loss, the best solution is to cover your hands. Since this might be possible all day long – covering your hands at night is ideal. Gloves keep your hands soft and moist all night through. Wake up with softer supple hands! This is the easiest way of curing rough and dry hands since salt is an essential commodity in every single Indian household. 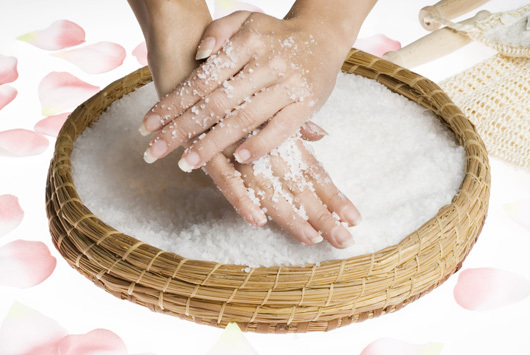 After a shower, just take some salt in your hands and massage it on your hands while they are still wet. Salt is one of the best natural cleansers that perfectly cleans the dead skin from your hands and gives you smooth and soft hands like never before. We all know that Cleopatra’s secret to soft and glowing skin was milk baths. Milk and milk cream contains lactic acid that acts as a brilliant exfoliator and thus maintains the pH level of the skin. For best results, add two teaspoons of milk cream to two teaspoons of besan (gram flour) and apply the paste on your hands. In 15 minutes, wash the paste off with lukewarm water. Repeat about 3 times a week for best results! Let us know how your hands feel after a go at the above techniques! We know you’ll be waving at the world with joy!